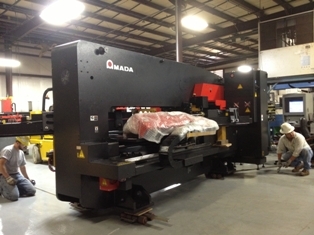 New Amada AE-2510NT Turret Installed (May 2013) | Accu-Fab, Inc.
Fine contouring capabilities to punch complex curves and shapes at high speeds. 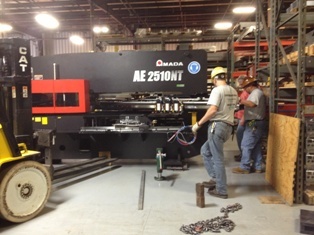 Preforming offset bends, extrusions, ribs, and other forms using progressive auto-index tooling. 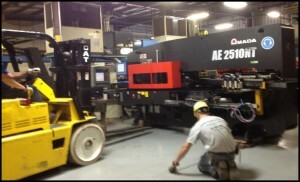 Reduced power and maintenance requirements. 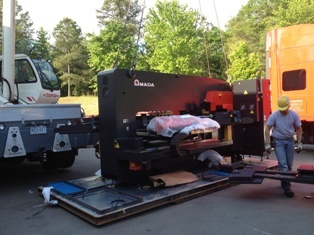 Our investment in new machinery ensures that we continue to bring value to our customers’ supply chains. If you’re looking for the right supplier to partner with, we hope you’ll give us an opportunity to earn your business today and support your company’s growth into the future!